Book an economic private taxi from Malaga airport to Benalmadena with our transfer services filling in the form on the top. Airport to Benalmadena: 11 km. Time to reach: 18 min. It’s a municipality in the province of Malaga, one of the great tourist destinations on the Costa del Sol and one of the busiest in high season. In fact, Benalmadena is made up three different areas: Benalmadena village, situated by the mountain, that has the charm of the inland villages with old whitewashed houses. 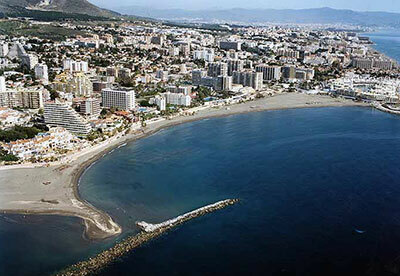 Arroyo de la Miel, located half way between the mountain and the coast, considered the urban core of the population and of the citizen’s day to day life. 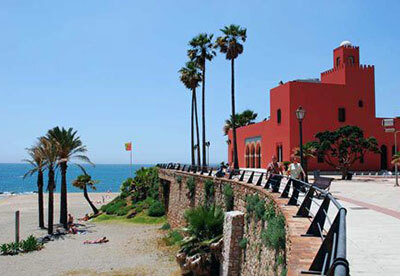 However, Benalmadena Costa is the destination orientated to the tourism, packed with hotels, restaurants, bars, shops, shops and other alternatives of leisure and entertainment, together with a long extension of beaches where the shape of its coves is worth mentioning. Booking a private taxi or transfer on the Costa del Sol to get to your hotel or holiday destination is by far the option that gives you more safety and comfort. Upon arrival, the driver of cheap Malaga airport taxis will be waiting to help you with your luggage and take you to Benalmadena. Why our service is better? The suburban train station is located opposite Terminal 3 of the airport but the station of Benalmadena is located in Arroyo de la Miel; from here, you need to take a second means of transport. We save you the trouble and extra expense. The bus can leave you closer to your hotel might not stop at its doors. The main problem with this transport is that the bus only goes every hour. Puerto Marina is a delight for the senses, it’s a splendid port that was inaugurated in the early 80’s and recognised by many as one of the most attractive ports along the Andalusian coast. It has up to 1108 berths and in its interior there are fantastic facilities for all kinds of visitors…during the mornings with its restaurants and shops, and the nights with its pubs and discos that offer all the fun. Here below we provide a summary with the places that you simply cannot miss out on during your visit to this municipality. It’s, undoubtedly, one of the destinations with the most leisure and entertainment options on the Costa del Sol. Tivoli world: famous and impressive theme park in the Costa del Sol. Know the marine world thanks to Selwo Marina and Sea Life. Botanical Garden Parque de la Paloma. Fantastic building: Bil Bil castle and Colomares castle. Buddhist Temple and Butterfly Park benalmadena: two alternative very interesting, both nearby. Casino Torrequebrada and Spheremania Benalmadena. 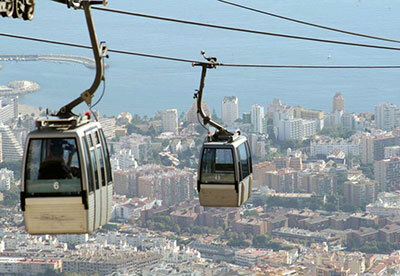 Enjoy incredible views from the cable car to the mountain to go hiking. Flea Market every Wednesday, with a lot of second-hand products in English. A walk around the port of Benalmadena Costa. 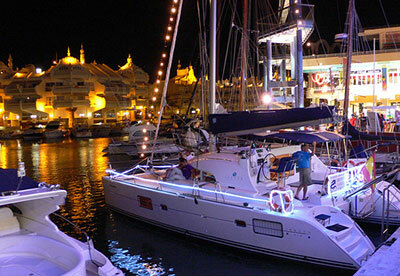 Nightlife in Solymar and Benalmadena Marina: funny discotheques and pubs like: Disco Kiu, Maracas, Mana, Kaleido, Monet, Mondino, Mombasa. Great day of Beaches: Santa Ana beach, Malapesquera, Torremuelle, Melilleros, etc. Sport in Benalmadena with: an Ice Rink, an Skate Park, several sports center. soccer fields, a hockey club, the Enasol nautical centre. A lot of Souvenir gift shop, restaurants and bars. Extraordinary hotels such as: Benalmadena Holiday Palace, Holiday Villages, Holiday Polynesia, Vincci, Las Arenas, Playabonita, Sunset Beach. It’s also very common to visit other destinations nearby like: Mijas Pueblo, Torremolinos, Fuengirola, Malaga, etc. We also offer airport transfer services to all of these places on the Costa del Sol. EconomyTransfer organizes Malaga day trips to various key points of the destination; if you would like to receive more information about our excursions in Benalmadena, please contact us via the application form for any request; we will offer you the best prices on excursions.